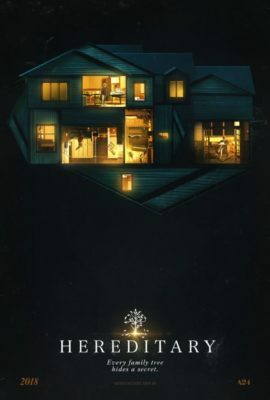 Hereditary is an intense experience that delivers events that has the audience questioning whether they are inherently psychological or if something else is affecting the family. The film’s lead, Toni Collette, goes far above and beyond, making every scene she’s in her own. Truly, if it were any other actor, the audience would hate the character. The other main lead, Alex Wolff, does incredibly well at some points in the movie. However, he does have trouble in a few scenes that take you out of the movie. When he needs to be subtle, he is especially impactful, however when it asks for a big amount of emotion, it feels more awkward than anything. The other two main actors play their parts very well, however they are very overshadowed by Wolff and Collette. The movie also has pacing issues, especially in the second act of the movie, which is a shame due to the force the first act delivers. There isn’t a scene in particular that hasn’t had that amount of an impact in years that horror movies never really have. Where the movie missteps are its resounding slow middle and the last two minutes. The last two minutes takes such a left turn in the story, taking a believable ambiguous movie to an unexpected area that leaves a bad taste in your mouth. The argument could be made that it was done with an emphasis on symbolism. However, if symbolism is delivered in such a forceful way, especially contradicting the subtle approach the film had been taking for the previous 2 hours, it leaves people with this knee-jerk reaction that doesn’t allow for it to be digested. The statement that this film has on mental health and how far can it truly affect an individual’s life however, is insane. The message then gets incredibly marginalized when it is followed by the plot-twist that the movie delivers. Directed and written by Ari Aster, you can tell this was a passion project. Something that won’t reach the majority of the people the producers wanted to see the film and yet it is so indecisive with its core idea that there won’t be a desire to view it again from those that did.